Here’s the review of the Alpha Antennas Magnetic Loop. Stay Tuned for the big 3 way shootout with the Chameleon P Loop & the Alexloop. 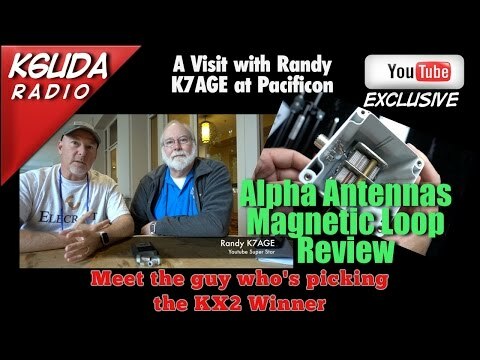 I’m visiting with Randy, K7AGE at Pacificon 2016 and we’ll meet one of the guys who’s going to decide who is going home with a free Elecraft KX2 . Oh yeah how a .50 T-connector almost destroyed that weeks show.